Michigan motorists and pedestrians face more driving hazards than ever before. Changes in our driving habits, as well as the vehicles we drive, have increased our risk of being seriously injured in a crash. If you or a loved one is hurt, a qualified Michigan car accident lawyer will help you achieve a better outcome. First, more people are driving larger vehicles than in past years. Because of their front-end design, size, weight and center of gravity, SUVs are more likely to cause severe injuries when they collide with passenger cars or pedestrians. In addition, distracted driving is now a leading cause of motor vehicle accidents. Instead of watching the road, record numbers of drivers and pedestrians are focusing on their cell phones. Instead of monitoring traffic conditions, motorists are using GPS systems or fiddling with their radios. Many are even shaving or applying make-up while driving. If you’re like most people, you have a general understanding of your Michigan no-fault insurance policy. However, you may not understand the details of your coverage or how to obtain the compensation you’re entitled to. If you’re not sure whether you need a lawyer for your accident claim, here are some points to consider. Unless you can answer “yes” to every question, you will be more successful if you hire a Michigan car accident lawyer. Do you know the difference between first-party and third-party benefits? Do you know how to make a convincing case for recovering “pain and suffering” damages? Do you understand the concept of “comparative negligence” and how it can affect your settlement? Would you know how to defend yourself if the other party says you were at fault? Michigan no-fault is among the most complicated insurance systems in the U.S. The Michigan no-fault system has an abundance of complex statutes and rules. Additionally, there are exceptions to those rules, as well as strict filing requirements and deadlines. An experienced Michigan car accident lawyer understands the system and knows how to make sure you and your family receive the compensation you deserve. This is true of your own insurance company as well as the other driver’s. While you may not understand all the intricacies of your no-fault policy, the insurance companies do. And they will use that knowledge to try and reduce your settlement. A qualified Michigan car accident lawyer can prevent that from happening. This means your compensation may be reduced according to the degree you were at fault. No-fault covers expenses relating to medical care, rehabilitation, replacement services and lost wages, regardless of fault. However, if you are claiming non-economic damages such as pain and suffering, fault matters. And, if you are more than 50% at fault, you cannot receive any non-economic damages. Because these damages can be substantial, it’s important to have a knowledgeable lawyer on your side. 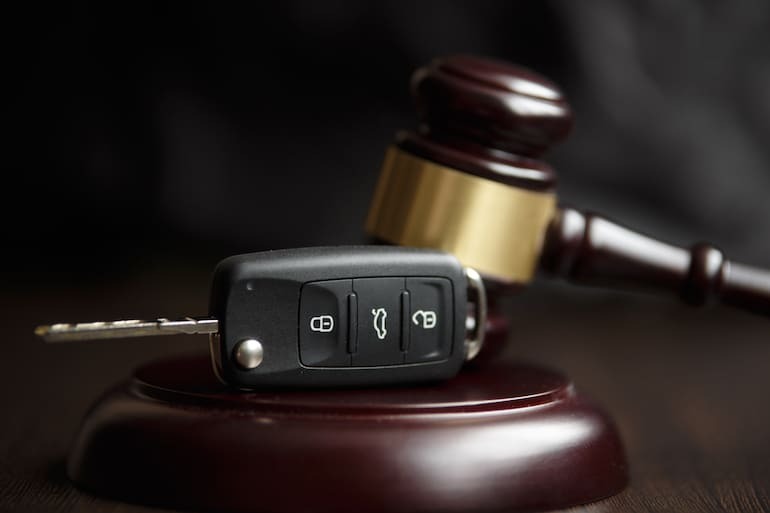 Michigan auto accident law is complicated, but finding the right lawyer is simple.